Could this be the pup-erazzi at work? 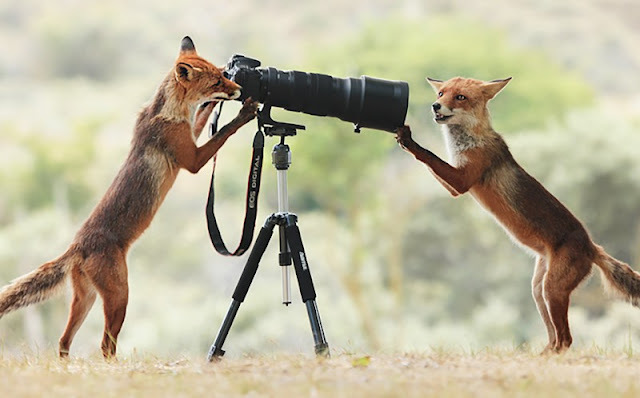 Two curious young foxes looked as if they were vixen up an extraordinary outdoor photo shoot. 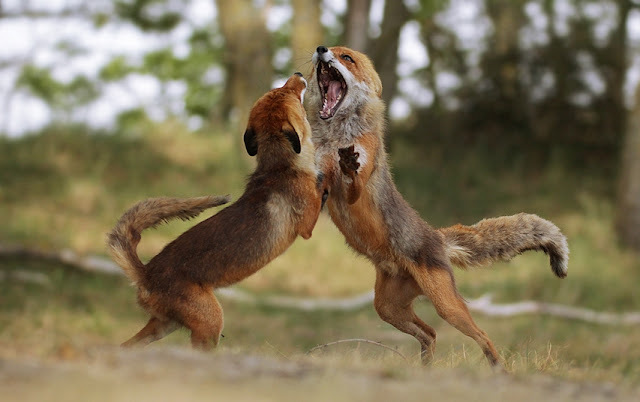 Wildlife photographer Julian Ghahreman Rad, 24, from Vienna, Austria captured the pair at play in the city's National Park. After spotting foxes living in woodland he set up a camera, long lens and tripod - plus some tasty morsels as bait - and lay in wait concealed in a hide. 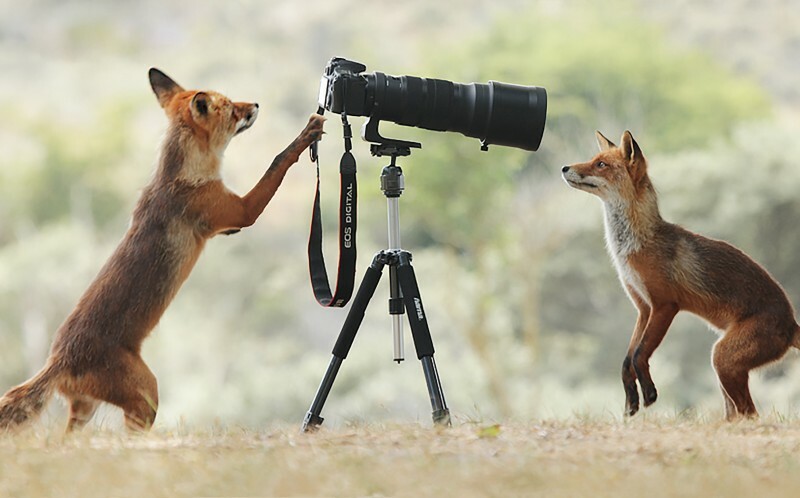 After four hours his patience was rewarded as the pair emerged to investigate both sides of the camera.Even after snaffling the bait, the foxes seemed intrigued by the digital equipment staring down the lens and at the display on the back of the camera body. Julian said: "I did have to wait for some hours hiding away in my tent, but suddenly, they just appeared and I could take the photos. "I call myself lucky to get both in one photo. It was definitely worth the four plus hour wait." 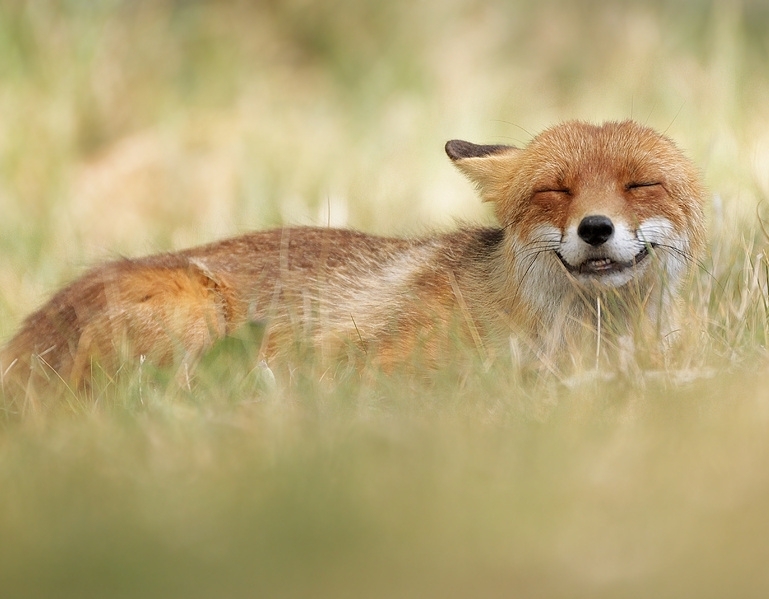 You said to me "Say cheese!" when you took the picture. I am still waiting for cheese. Where is it? Responses to "Talented foxes steal a camera to take photographs of each other"